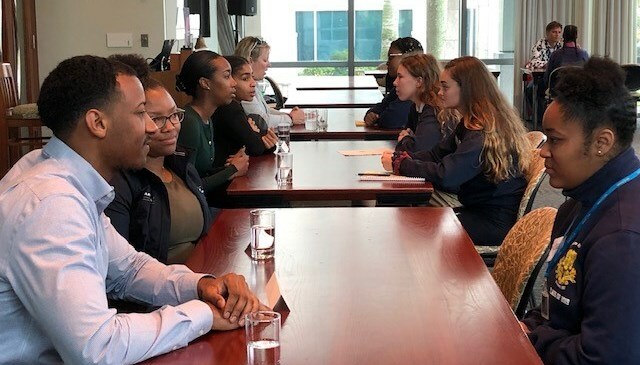 Students from Bermuda’s public and private high schools took part in the BFIS Speed Networking lunches held late last month. 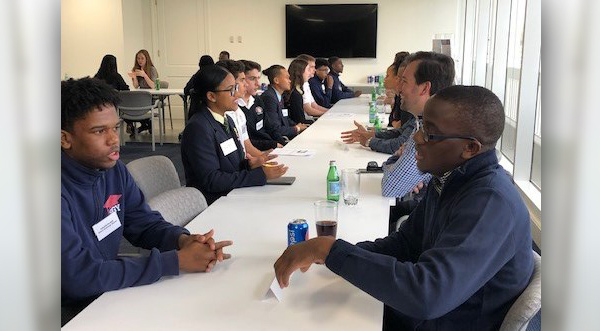 The sessions gave 75 senior students an opportunity to meet and chat with numerous insurance professionals to help them gain a better understanding of the wide variety of careers in the insurance industry. A spokesperson said, “They attended sessions relevant to their career goals, either Actuarial, Law or IT [Monday], Accounting and Finance [Wednesday] or Insurance in general [Friday]. 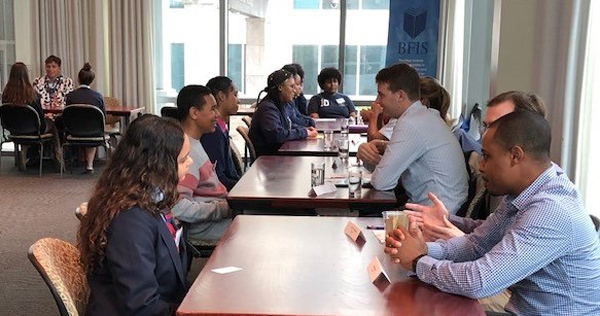 “This is the sixth year that BFIS has offered networking sessions for high school students which have proved hugely successful. We receive great feedback from students who find the experience of being able to chat with professionals from a variety of different careers, educational backgrounds and skill sets extremely useful. “During the hour-long speed networking sessions the students rotate several times, so they are able to talk to a number of professionals. Lunch follows which provides further opportunities to continue conversations. “Invitations are extended mainly to the senior year students from all the high schools who can select which session they wish to attend. Each school can send up to 6 students [occasionally more] and some students may decide to attend more than one session if there is room available. 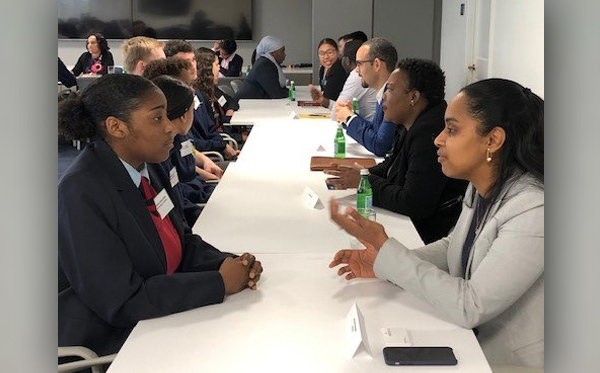 “BFIS Student Networking is made possible with strong industry support from all the insurance professionals who give up their valuable time to meet with the students and help them focus on their academic goals and career choices. Grateful thanks are extended to AXA XL, Chubb and KPMG for providing this year’s venues.